Everything you wear tells others something about you. One of the very first impressions anyone gets from another person is what type of clothing or shoes they are wearing. Bright colors or black. Fitted or loose. Stylish or time worn. They all reflect your moods, your activities your style or just an image you want to send. But, they do send a message. I was thinking about this as I read a New York Times article: The Clothes make the “Girls”. 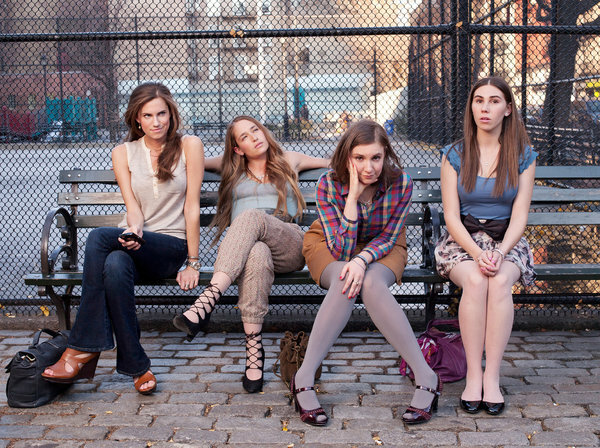 which parsed the outfits worn by the lead women characters on the HBO series, “Girls”. Each actress wears clothing that is true to the woman she portrays and gives off the right image. Unlike a TV show, however, in real life a particular style selection may not reflect your personality. Many people wear certain clothing styles to try and fit in, others to impress, and some just wear the clothes they have. Sometimes you wear a particular outfit to change your own mood. This could be the dress that makes you feel pretty, the power suit that gives you confidence or the piece of jewelry that has sentimental value. Next time you are dressing for an event or a particular meeting, be sure to look in the mirror. If this was a character appearing on a TV show, how would you describe the character? What message are you giving?